What areas do you deliver to and what are the costs? We deliver to central London post codes (W1, WC1, SE1, SW1, EC1, EC2, EC3, EC4, N1, NW1, WC2, and W2) at a congestion/fuel charge levy of £3.00 per delivery between 7.30am-5:30pm. Deliveries to post codes like (E8, E15, E14, NW10, SW15, SW8, TW9, SE5) at a congestion/fuel charge levy of £5.00 per delivery between 7.30am-5:30pm. Delivery outside of these times will incur an additional charge between £10-£50 depending on time, location and equipment hire transportation costs. Weekend delivery is £40.00. May vary depending on time, location and equipment hire transportation costs. Week days – minimum order £30 exclusive of VAT. Weekends – minimum order £500.00 exclusive of VAT. 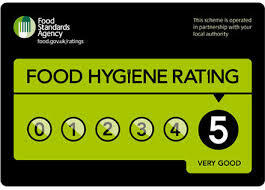 We can cater for most dietary requirements such as Gluten Free, Vegan, Halal and Lactose Intolerance. Please let us know when you order and we will ensure items are clearly labelled and served separately. Do you only provide catering for businesses? No. We can provide our services for all types of events including private parties, product launches, film production companies, funerals and weddings. You can order by telephone or by email. If you do not receive this within two hours please contact us as we may not have received the order. What if I don’t know what to order? Please do not worry. We will provide advice and help you every step of the way to ensure that you have what you need on the day of your event. Orders must be placed before 12noon the working day before delivery. Orders placed and accepted outside of these times will incur a rush charge of £10.00 for orders upto £80.00 exc VAT or 12.5% rush charge for orders over £80.00 exc VAT. When do you collect hired equipment? We usually collect the following working day at charge of £3.00 from Central London Post codes (W1, WC1, SE1, SW1, EC1, EC2, EC3, EC4, N1, NW1, WC2, and W2) and charge of £5.00 from London Post codes (E8, E15, E14, NW10, SW15, SW8, TW9, SE5) or if that is not possible we can agree another suitable time. Or we can agree with you a convenient collection time on the same day at charge of £25.00. Equipment can be returned washed or unwashed. Collection fee will not apply if we deliver your new order and collect the equipment from the previous order at the same time. By Bank Transfer. Credit accounts can be set up for regular orders. Cheque payments must be cleared four working days prior to delivery. What is your company registration and VAT registration number? Our Terms and Conditions sets out our service and commitment to you. To read, click here.